Aargh! 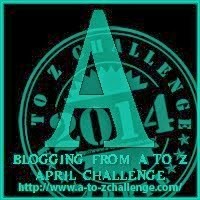 So, I had this big idea that I would take part in the A to Z Challenge this April and I had everything all set and scheduled so that my first A post would go live on April 1st...well, it looks like Blogger went and played an April Fools prank on me because the pretty post I had all set up for day 1 of the challenge...has seemingly disappeared! I still want to do the challenge, and this is probably breaking the rules (as you're supposed to post every day except Sundays) but I'm going to re-do my A post and slap it right in here with my B post! Rebel, I know. What is the A to Z project? You simple take a letter of the alphabet and write a post every day except Sundays based around a word or theme beginning with that days letter. So, April 1st = A, 2nd = B, 3rd = C and so on. Simple enough! You can check out the official website here! I haven't gone with a theme (poor timing and bad planning) but I will endeavour to put up a post everyday from this day forth...except Sundays. My usual posts - Mon, Wed, Thur at 6pm GMT will hopefully still be going up too! My A to Z Challenge posts will be going up around midday, so make sure your subscribed! 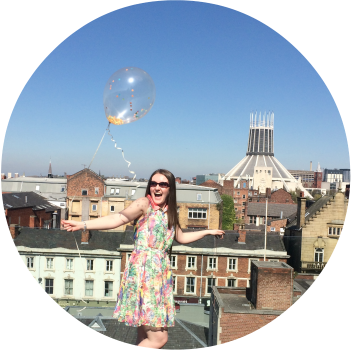 It's been a while since I did a blog challenge (#2014BloggerChallenge is still going strong!) so this should be....fun? crazy? a dive in at the deep end? Let's just get on with it already! A is for...abseil! So last week whilst out with work colleagues, someone asked me to do an abseil. A 200ft abseil down the building we work in. 200ft!!! Are they mad?? That's like, really high up! I'm all for doing charitable things, like the race for life or fancy dress days etc, but throwing myself off a building? For some daft reason I said yes. I'm not too bad with heights, but I've never hung myself off the edge of a building before. I've got to raise £100 to take part in the abseil which takes place on April 26th 2014! I'll be setting up an online donation page and going door to door around my street looking for sponsorhip - remember folks, I'm chucking myself off a building! I thought it would be fun to say yes more, to do some big, fun, scary things....now I'm wondering if that was all great in theory but a terrible idea in practice! We shall see in just a few weeks! B is for...Barcelona! In about 3 weeks time I'll be heading off to Barcelona with Mr.Man to celebrate our 1 year anniversary. We're spending 4 days in the city and I can't wait! I've been doing some planning, getting a little itinerary together, looking up places to go and things to see. The city itself is filled with so much culture and history, I doubt we'll get it all in but I'll do my best! We also want to spend a little time at the beach too. Everyone feels better after some R&R! I've heard great things about the champagne and tapas bars which I'll be sure to check out too! Have you ever been to Barcelona? Please leave any comments or tips in the comments below - I'd really appreciate the advice! 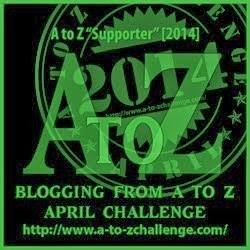 Are you taking part in the A to Z Challenge? Leave me your link below! 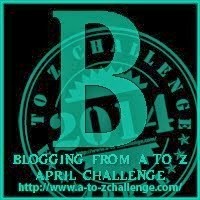 Stopping by from the A-to-Z Challenge. First off, happy anniversary! Have a Blast in Barcelona. I enjoyed your first two posts. Keep it up! Full-time RVers living, traveling, working from our 33' 5th wheel, with our two cats Sunnie and Bowie. Thanks for stopping by! I'm struggling to come up with ideas for all the letters already, eek!